The amount of stored information is exploding as a consequence of the immense progress in computer and communication technology during the last decades. However tools for accessing relevant information and processing globally distributed information in a convenient manner are under-developed. In short, the infrastructure for the “Information Space” needs much higher attention. In order to improve this situation, we envision the concept of a hyperdatabase that provides database functionality at a much higher level of abstraction, i.e., at the level of complete information components in an n-tier architecture. In analogy to traditional database systems that manage shared data and transactions, a hyperdatabase manages shared information components and transactional processes. 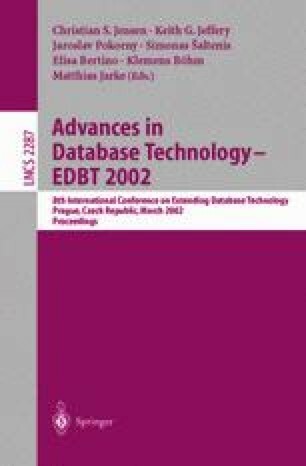 It provides “higher-order data independence” by guaranteeing the immunity of applications not only against changes in the data storage and access structures but also against changes in the application components and services, e.g., with respect to the location, implementation, workload, and number of replica of components. In our vision, a hyperdatabase will be the key infrastructure for developing and managing the information space.